Pete Contreras brings 20 years of urban ministry experience in the cities of LA and San Diego to his role as Lead Pastor. He leads our church to serve our community with the love of Christ. His passion is to develop ministries and empower others to serve. He has been exposing other churches to the great needs of the city through urban mission trips for more than two decades. Pete lives in the City Heights section of San Diego with his wife, Julie and their four children. Pete graduated from Hope International University (formerly Pacific Christian College) and completed a community organizer certification from DeVos Urban Institute. Pete sits on the board of Vision San Diego and has been instrumental in bringing programs to reach "at-risk" youth to our community like Ambassadors of Compassion, Midnight Basketball, and Project 25. Mike Haskins is in his "dream job" as the developer of New Vision's Urban Missions program. 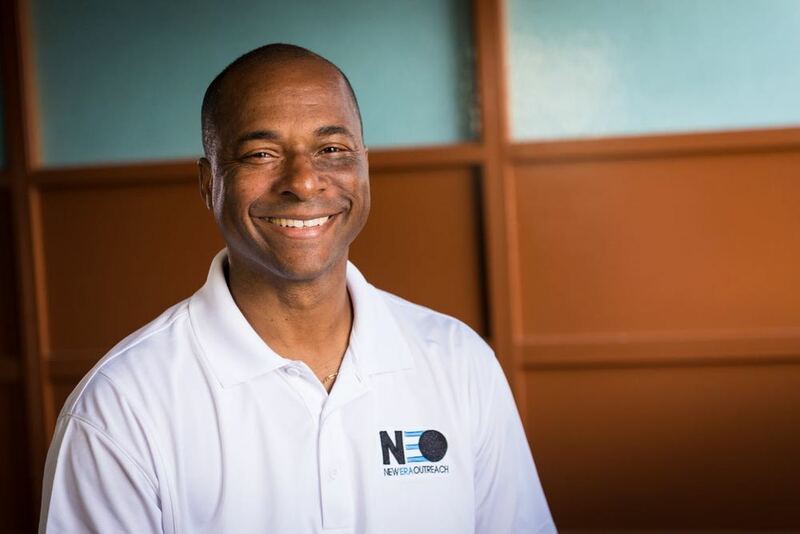 Through his role he helps bring resource into this community, increases revenue to fund New Vision's ministries, and equips participants from churches and organizations all over the country for effective outreach through service. He is also a staff pastor serving alongside a dream team of urban youth workers. A graduate of Hope International University, Mike draws from a rich pool of experience as a professional youth worker, pastor, organizational consultant, and technical trainer with Apple. He is available to provide exceptional team building and consultation for universities, corporations, churches, and schools. Amy Haskins, is a social worker who writes home studies for adoptions. She serves with the youth ministry, directs a team for our AWANA program, and helps keep our interns feeling welcome and fed. Josiah, their 7-year-old, loves San Diego, going to the park, riding his bike, LEGOS, puzzles, everything Apple, and all the new friends he has made. The Haskins live on-site at New Vision.